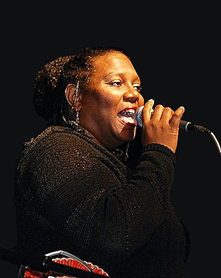 MARILYN T KELLER – brings a special magic to the stage with her charming presence and flawless vocal stylings. Her musical roots are diverse. She joined Black Swan Classic Jazz Band in 1997, quickly establishing a loyal following in the Dixieland and Ragtime scene. She has also remained active in a wide variety of other performance ensembles and styles: The Don Latarski Group, Darrell Grant, Thara Memory, Tall Jazz, Tom Grant, Michael Allen Harrison, Disciples in Song, and the Augustana Jazz Quartet to name a few. Marilyn’s versatility extends to the recording studio and she has contributed her talents to various original CD’s, albums, demos and commercials.